Sweet Cheeks Adventures: Original Gourmet: The Perfect Stocking Stuffer! Original Gourmet: The Perfect Stocking Stuffer! Sing it with me: Stocking Stuffer, oh Stocking Stuffer.... What should we choose for this year? I have a very delicious answer for you! You load up those babies with Original Gourmet candies! This year, you have 2 options. Stick with the old tried and true lollipops or take a brave yet delicious step forward and give them Squrtz. 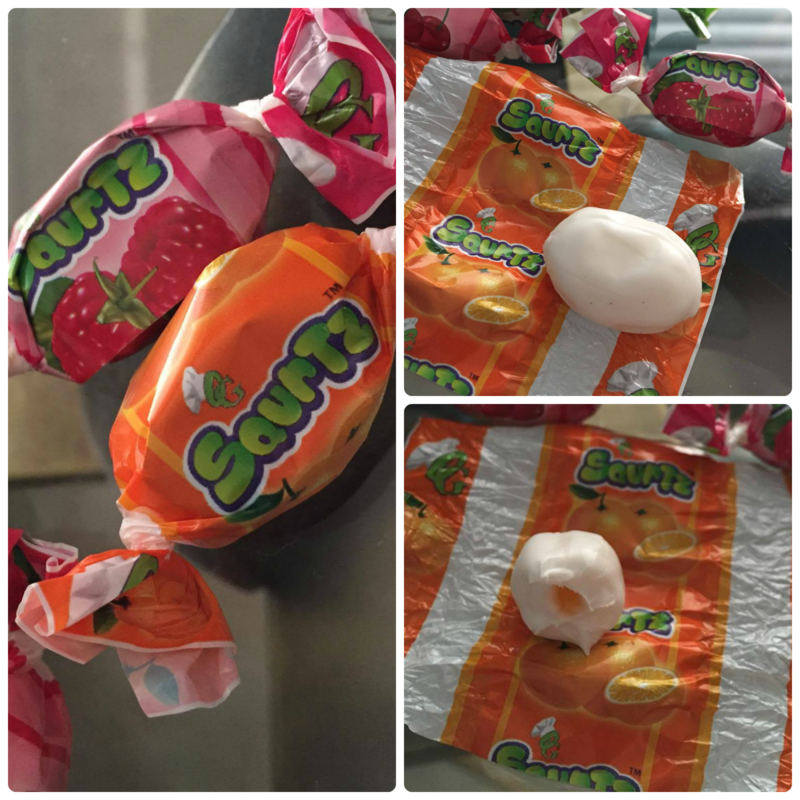 Squrtz are a soft and smooth fruit flavored chewy candy with a juice burst! This tasty little candy is perfect for your stocking and perfect to curb your sweet tooth! It's soft and chewy with a nice little fruity surprise when you bite into it. I'd be lying if I said only the children have been enjoying them. Mom is a big fan too! The flavors you will fine in the Squrtz pack include Apple, Strawberry, Orange, Raspberry, Lemon, and Cherry. Strawberry is my favorite, hands down! It's sweet and perfect as far as strawberry flavoring goes! Not only should you grab some Squrtz for your stockings, everyone needs to have an Original Gourmet lollipop too! There are so many delicious flavors! While I enjoy a nice cotton candy or bubble gum flavor, it looks like they've blown my socks right off and sent me a candy cane flavor for this holiday! If you know anything about me and my love for Christmas, it is paired up with peppermint. This lollipop is by far my favorite!! 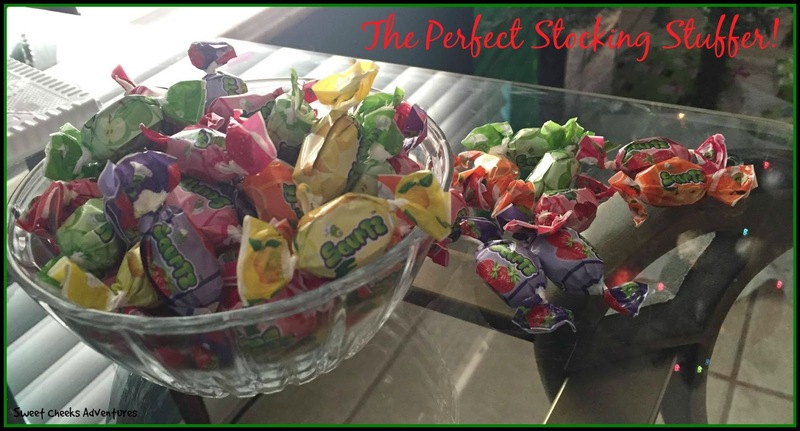 Original Gourmet lollies are big and everything a lollipop should be! The candy is hard yet flavorful. There are times when we've had to store half of the lollipop in a baggie until later. There is a remedy for this though. They offer a smaller lollipop that is the perfect size for a one time sitting. You can pick up your lollipops at most of your local stores! I love the displays at Walmart, right there at the check out! They're delicious and worth it! Sweeten up your holiday, just a little more! 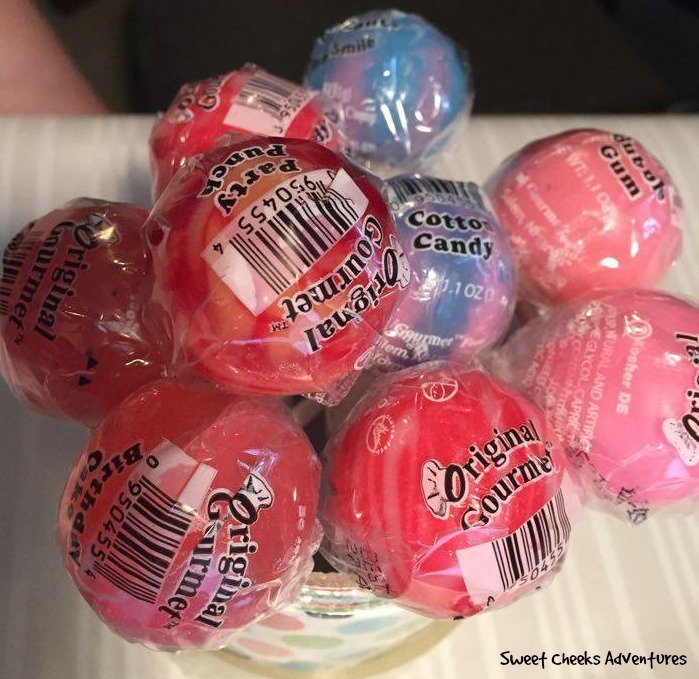 My kids LOVE those Original Gourmet lollipops! We'll have to try those Squrtz, too - they sound yummy! Yes please! Santa can come stuff my stocking with these candies any time. I have a major sweet tooth! I have seen these at my Walmart and they're usually near check out so my kids always want to pick them up. I only do organic candy though and very rarely do they get candy in the house. These however would be great for Halloween. Those lollipops look so good! My kids love getting candy like this in their stockings. Even I love those Gourmet lollies! They are so good and so many different flavors! I have bought these at different stores. The kids love them! This is perfect for people with a sweet tooth. It would be fun to include some of these gourmet sweets in the stockings this year. These are amazing I am so glad to see they are also making new products! I have not heard of these candies before. 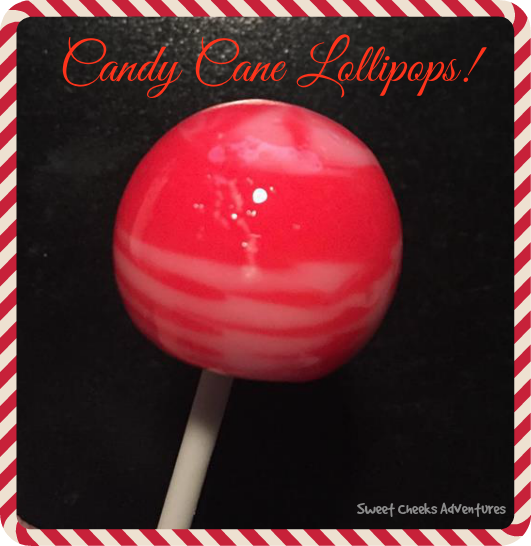 The lollipops sound right up my kids alley! What a good idea this is. Oh my gosh, these all sound so amazing. I know I have seen the lollipops before but the soft candies. I may have to make a run to Walmart tomorrow for a few last minute stocking stuffers for my daughter. She loves lollipops and mommy may need to try the soft candies. Hmmm, I am sure I can find something for daddy too. Thank you for the idea! Those Squrtz candies look really yummy. I love chewy candies especially this one with a juice-center. I would love to try their strawberry and apple variant! Oh gosh! We used to get those lollipops as kids from the corner store. They are the best! Memooorrriiieeesss! They all look so delicious. I always put candy in my kids' stockings.